According to lead author Dr Rowan Whittle from British Antarctic Survey: "It is surprising to see such a difference in what was happening at either end of the world. In the Northern Hemisphere these changes happened whilst the dinosaurs ruled the land, but by the time these sea lilies moved into the deep ocean in the Southern Hemisphere the dinosaurs had been extinct for over 30 million years. Co-author Dr Aaron Hunter from the University of Cambridge says: "We have documented how these sea lilies evolved as Australia split away from Antarctica moving north and becoming the arid outback we know today, while ice formed over the South Polar Region. 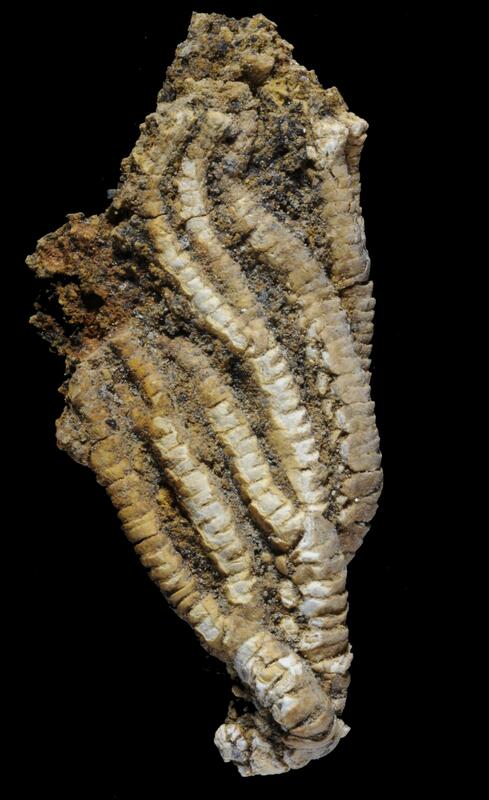 Images of fossilised sea lilies are available from the BAS Press Office as above. British Antarctic Survey (BAS) delivers and enables world-leading interdisciplinary research in the Polar Regions. Its skilled science and support staff based in Cambridge, Antarctica and the Arctic, work together to deliver research that uses the Polar Regions to advance our understanding of Earth as a sustainable planet. Through its extensive logistic capability and know how BAS facilitates access for the British and international science community to the UK polar research operation. Numerous national and international collaborations, combined with an excellent infrastructure help sustain a world leading position for the UK in Antarctic affairs.